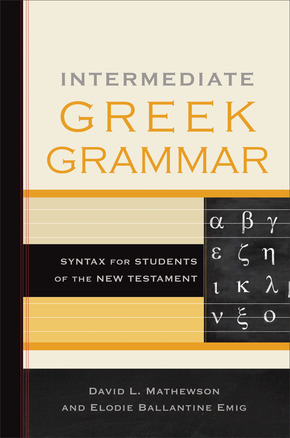 This intermediate grammar for students of New Testament Greek incorporates the advances of recent linguistic research in an accessible and understandable way. Drawing on years of teaching experience at a leading seminary, the authors help students extend their grasp of Greek for reading and interpreting the New Testament and related writings. They make extensive use of New Testament texts to illustrate each grammatical category. Long enough to provide substantial help yet concise enough for frequent practical use, this book is ideal for intermediate Greek and Greek exegesis classes. It is also a valuable resource for preachers and others.